When Windy and Dry: Watch for Danger Warnings! RED FLAG WARNINGS: Weather conditions can increase fire danger suddenly and dramatically due to drying winds and high temperatures. A Red Flag Warning means that current weather conditions can cause a fire to ignite and spread explosively due to gusting winds, high temperatures and/or dry fuel. CRYSTAL PARK FIRE DANGER SIGNS: Two signs are posted at the entrance gate and at the lake in the Upper Park. 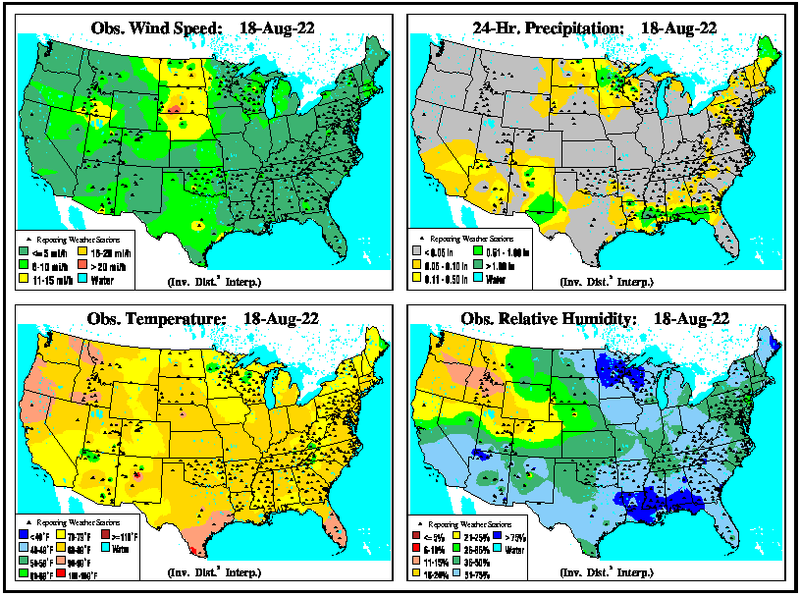 Click here to familiarize yourself with what each color/level means. 1--Open burning defined as campfires and warming fires(except in permanently constructed fire grates in developed campgrounds and picnic grounds), charcoal grills and outdoor wood burning stoves (except at private residences in areas cleared of all flammable materials), the use of explosives, outdoor welding or use of acetylene or other torch with open flame other than in an area cleared of all flammable materials. Fires contained within liquid-fueled or gas-fueled stoves are permitted. 2--The sale or use of fireworks of all kinds. 3--Outdoor smoking except within an enclosed vehicle or building, a developed recreation site or while stopped in an area at least three feet in diameter that is barren or cleared of all flammable materials. 1--Open burning defined as campfires and warming fires, charcoal grills and outdoor wood burning stoves, the use of explosives, outdoor welding or use of acetylene or other torch with open flame other than in an area cleared of all flammable materials. Fires contained within liquid-fueled or gas-fueled stoves are permitted. 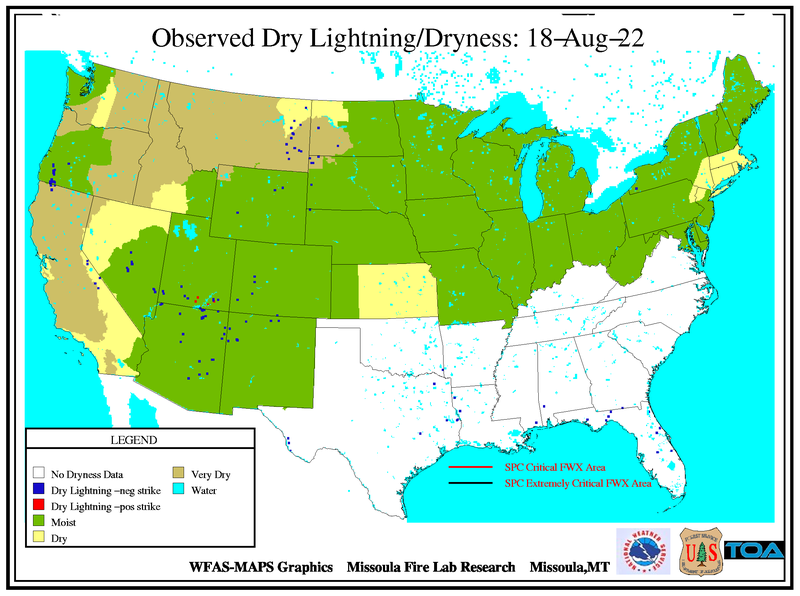 Potential Danger from Lightning in USA Updates daily. WFAS Google Earth Map Data Download current condition fire data as an overlay to Google maps. These files are updated daily. 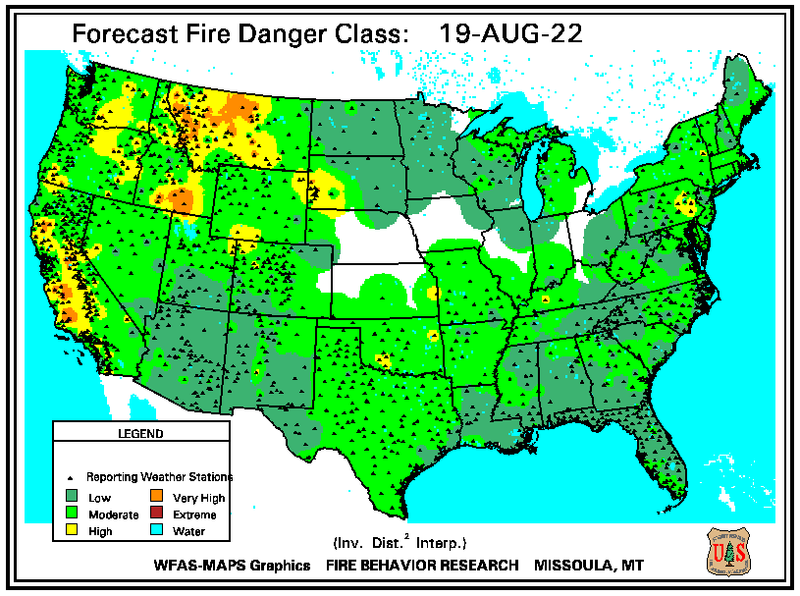 Storm Prediction Center (SPC) Fire weather forecasts up to 8 days out. 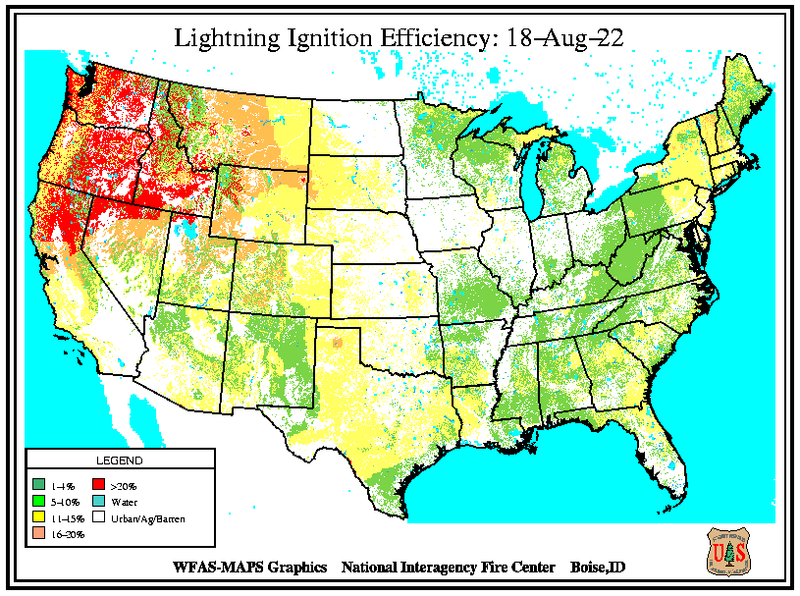 Wildland Fire Assessment System (WFAS) Quick Links Comprehensive resource with links to fire danger potential, fire weather maps, dead fuel, live fuel moisture, drought and moisture/greenness maps and more. 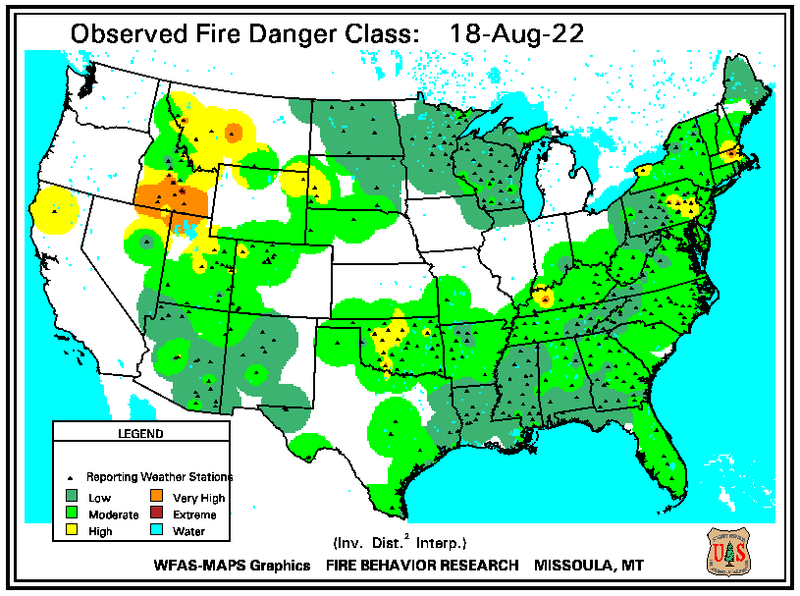 Pueblo Interagency Dispatch Daily Fire Danger Report This report only updates during fire season. GeoMac Wildfire Viewer Wildfire Mapping feature allows you to locate nearby wildfires. Also displays current fire perimeters and historical locations of fires. Download "WeatherBug" to recieve active red flag and fire watch warnings for our zip code area. Set your preferences to include all flood and fire weather warnings and watches. Colorado Fire Weather Zone Boundaries Crystal Park is in Fire Weather Zone 221 which is more closely associated with Teller County than El Paso County due to our elevation and mountain terrain. But since Crystal Park is close to the boundary of Fire Weather Zones 226 and 227 which include the rest of El Paso County, it is important to pay attention to any watches and warnings posted for all three fire weather zones.